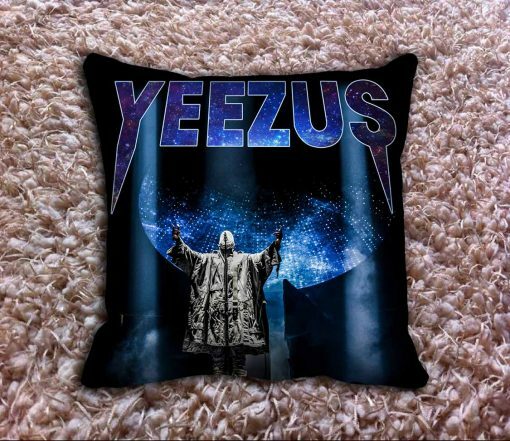 Pillow Size Choose an optionRectangle 16" x 24"Rectangle 20" x 30"Rectangle 20" x 36"Square 16" x 16 "Square 18" x 18 "
Yeezus Pillow Covers – Original by art2cloth. * Two side means the same design will be printed in front of the case and the back side. Sports teams, birthday gifts, car rides, etc. – The image is DIRECTLY printed on…. You can’t feel the image… AT ALL! – Machine wash/dry absolutely SAFE…over and over again! This standard pillowcase is roomy in size (18“ x 18”),(20“ x 30”) and (16“ x 24”) has been designed to add sophistication. We ship to worldwide. All items will be arranged shipping within one business day upon payment cleared. Shipping time takes about 15 – 25 working days. Sometimes, It may take up extra time in Holiday Period. We try our best to provide you the most reliable, affordable way of shipping service. But sometimes international delivery is highly depended on the local customs and post service. Listings with shipping and handling charge: the charge covers mailing, packing, warehouse and distribution costs. Please contact us through a message and we will be there to answer any of your questions. Rectangle 16" x 24", Rectangle 20" x 30", Rectangle 20" x 36", Square 16" x 16 ", Square 18" x 18 "